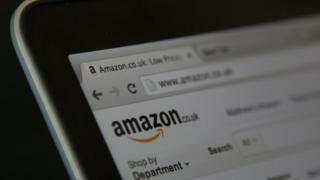 The US online retail giant has filed a lawsuit in Seattle, Washington. It says its brand reputation is being damaged by "false, misleading and inauthentic" reviews paid for by sellers seeking to improve the appeal of their products. It comes after Amazon sued a number of websites in April for selling fake reviews. Amazon says the 1,114 defendants, termed "John Does" as the company does not yet know their real names, offer a false review service for as little as $5 (£3.24) on the website Fiverr.com, with most promising five-star reviews for a seller's products. Amazon said it had conducted an investigation, which included purchasing fake customer reviews on Fiverr from people who promised five-star ratings and offered to allow purchasers to write reviews. It said it had observed fake review sellers attempting to avoid detection by using multiple accounts from unique IP addresses. Amazon said the lawsuit was not targeting Fiverr, which is not a defendant in the complaint. Fiverr said it was working with Amazon to resolve the issue. "Amazon is bringing this action to protect its customers from this misconduct, by stopping defendants and uprooting the ecosystem in which they participate," the lawsuit says. Anyone, whether they are a customer or not, has the ability to review products sold on Amazon's online store, but the rules of the site forbid paid-for or fictional reviews.